See therapists in Sterling Heights, MI. We all get angry and say or do things we regret as a result. However, when anger causes relationship or work problems, or personal distress, it has become a problem that needs to be dealt with before things get worse. With anger management treatment, you will learn to identify what triggers outbursts, tips and techniques on what to do when angry, and how to develop self-control. Anger management classes can be very helpful in getting anger under control and improving one's outlook and quality of life. Anger will always exist, but the problems that it can cause do not have to. Put an end to anger problems with help and support of an anger management group today and regain control over your life and well-being. Do you want to: Have more peace of mind Improve your health Learn how to relax and let go Improve your relationships Save your relationships Have more self-control Do not get as easily bothered or annoyed Put an end to anger problems & regain control over your life today. 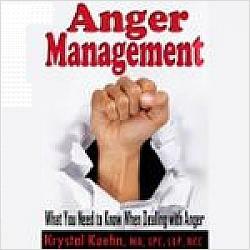 Anger management classes help for personal, court, and business. Certificate granted upon completion. Call us today for anger management classes, and let us walk alongside you. But you must be willing to take the first step. Then you can begin to move forward. Call to Reserve a Spot or REGISTER ONLINE now. Space is limited.....don't delay!